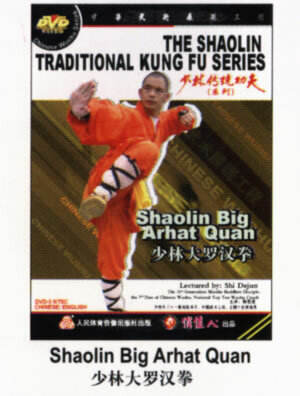 Shaolin Big Arhat Quan is one of the excellent tradition routines of Shaolin Temple. Its structure is very strict, and its frame is steady. When demonstrating, it has the firmness contenting with softness, pushing the force quickly and linking, the movement is rising and falling with the clearness of silence and moving, in the style, it has the feel of Buddhism, suitable for the person who has certain wushu base to practise.